A fantastic opportunity to visit a living world heritage! 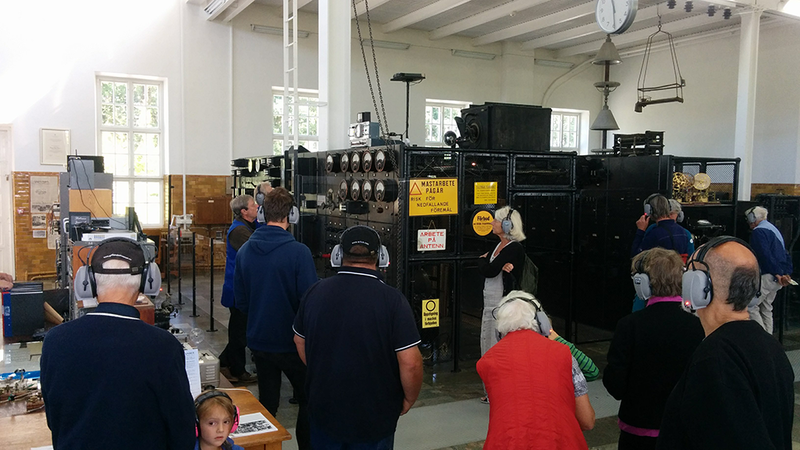 During the summer, the Alexander association is arranging guided evening tours of the radio station and the old Alexanderson transmitter, including a start-up of the transmitter – a unique and fantastic experience for the whole family. Programme for July 5, July 12, July 19, July 26, August 2, August 9 and August 16 at 16:30. -Entrance via the visitors center. Entrance fee SEK 125 per person (visitors to the World Heritage the same day pays SEK 50). Children below 18yo free admission. No reservation necessary. -Start of the Alexanderson alternator. Though no message will be transmitted over the antenna. Every visitor will use ear protectors, where the speaker (in english) will guide the visitors through the start-up process. -The ham radio amateurs at SK6SAQ is showing the station and will send messages to the entire world.